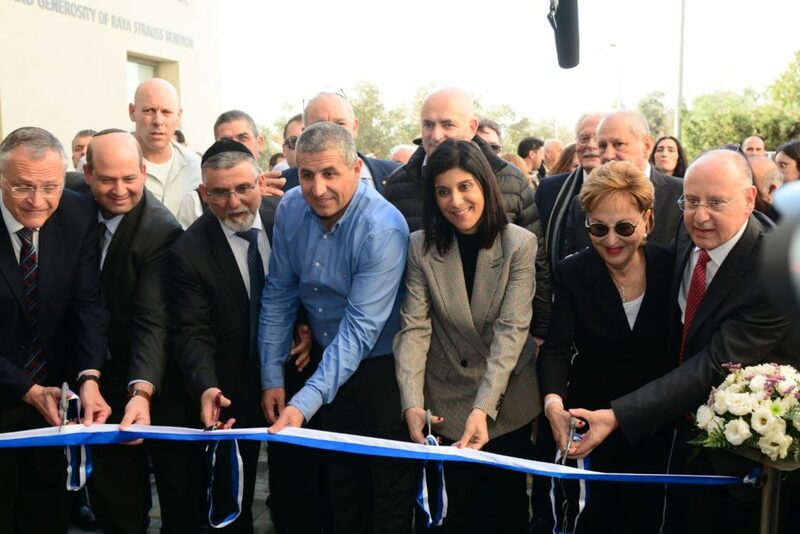 January 31, a festive ribbon cutting ceremony was held at GMC’s new Research Center to launch the Bar-Ilan University Research Institute in the Galilee Medical Center in Nahariya, The new Center is dedicated to conducting life-saving research in fields such as genetics, heart, diabetes, cancer, brain, ENT, infectious diseases, maxillofacial, kidney diseases, and gynecology. Dr. Barhoum, CEO of GMC, explained the need for a Research Center at GMC as it is an important element in first-rate academic medical institutions worldwide. This new Center allows for the integration of teaching, research and practical work. This innovating approach will help the hospital to provide the latest and best care for its patients. Dr. Barhoum, thanked the government for their support and investment in medical services in the periphery and in GMC in particular. He expressed his gratitude for Deputy Health Minister’s support of the hospital. For the last several years, the Minister has been advancing medical service to the community and the establishment of new departments and medical services to the 600,000 residents served by GMC on a daily basis as well as during emergency time. The combination of GMC’s professional teams and advanced technologies enables the hospital to provide professional care to the residents of the Galilee, saving them the burden of long distance travel. Professor Karl Skorecki, Dean of the Faculty of medicine explained the importance of upgrading the medical arena in the North of Israel, aiming to provide the public with optimal medical solutions. Among the many respected guests attending were: Deputy Minister of Health Rabbi Yaakov Litzman; Parliament member Itzhak Vaknin; the new Mayor of Nahariya, Mr. Ronen Marelly; Mrs. Raya Strauss, Ben Dror President of Israeli Friends GMC; Mr. Zohar Yanon, CEO of Bar- Illan University, and Prof. Karl Skorecki, Dean of the Faculty of Medicine. 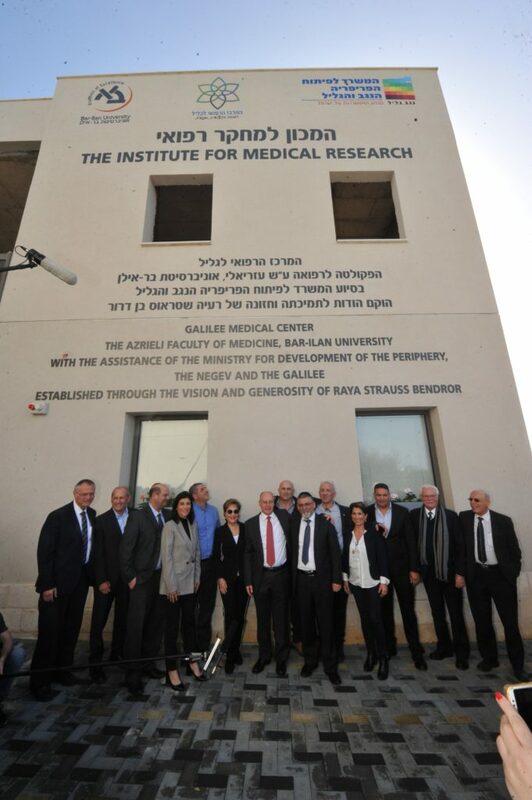 The establishment of the $5M Research Center was made possible thanks to donations received from Bar- Illan University, the Health Ministry, the Ministry for the Development of the Periphery, the Negev and the Galilee, and the generous donation of Mrs. Raya Strauss Ben-Dror.